10 minutes before 12am midnight, I decided to went home. From the exit door of the Main Library, I was seeing that there was raining. 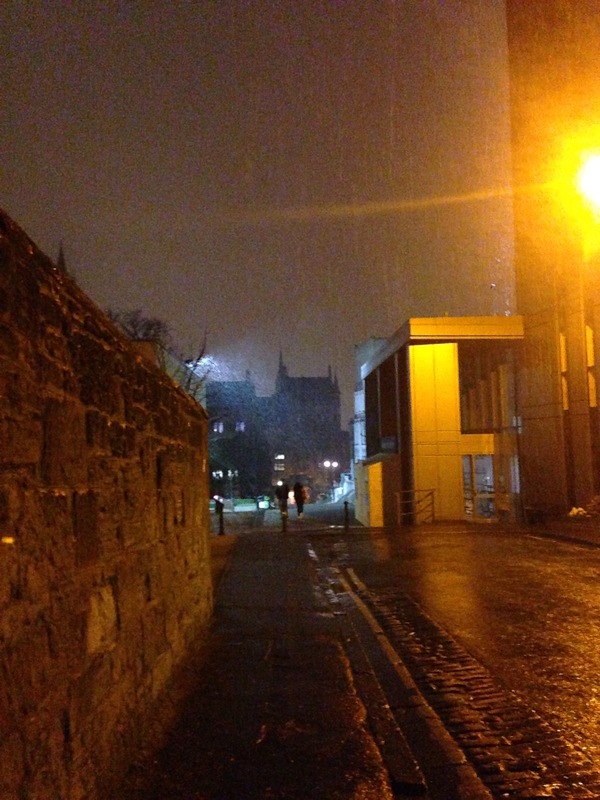 There was light snow at midnight in ‘Hogwarts’..! When I woke up in the morning, there was no more snow outside. So perhaps this light snow was just happened for some minutes. I always ‘celebrate’ the moment when snow was falling. I won’t see any snow in my home country. We always explain Indonesian weather as ‘It is almost sunny the whole year with the temperature 30 degrees on average’ LOL. Next Next post: The End of Maria Sharapova?